SHARJAH, 9th April, 2018 (WAM) -- Zulekha Hospital on Monday signed a Memorandum of Understanding, MoU, with the Sharjah Health Authority, SHA. The aim of the MoU is to provide quality medical treatments at discounted rates to the Authority’s beneficiaries. This includes Sharjah Government employees, their dependents and retirees covered under insurance, elderly residents in the emirate of Sharjah who are not covered by an insurance, as well as UAE nationals based in the emirate. The MoU was signed by Abdulla Ali Al Mahyan, Member of the Executive Council and Chairman of the SHA, Sharjah Healthcare City and University Hospital Sharjah, and Dr. Zulekha Daud, Founder and Chairperson of Zulekha Healthcare Group. Commenting on the announcement, Al Mahyan said, "This collaboration with Zulekha Healthcare Group is to facilitate the improvement of healthcare for the UAE nationals who are based in the emirate of Sharjah, especially for the elderly. The core purpose of this private-public MoU is to provide the best-in-class healthcare services for the emirate, which comes in line with the cabinet’s vision to make the UAE one of the best countries in the world by the year 2021." The MoU will see patients referred to Zulekha Healthcare Group’s facilities to receive fast-track medical attention and treatment as and when required. The hospital will inform the concerned patients about post-treatment follow-up and recommendations followed by a progress report and case summary during and after the treatment period. "Having grown with the emirate of Sharjah, it gives us immense pleasure to be able to extend these exclusive services to the employees of SHA and other beneficiaries to have easier access to our world-class healthcare services. At Zulekha Healthcare Group, we are committed to improving the quality and efficiency of the healthcare sector in Sharjah and the UAE," Dr. Daud said. 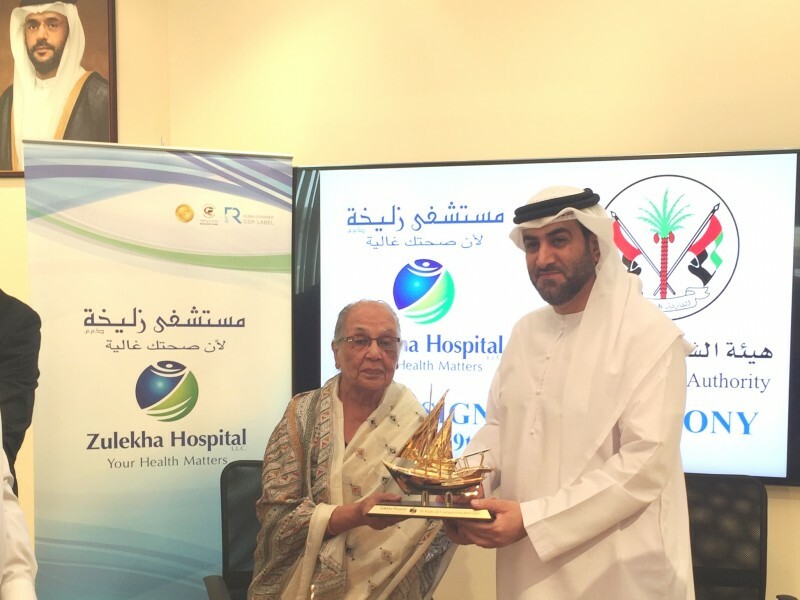 Zulekha Hospital recently signed another MoU with the Sharjah Social Service Department to improve the ease of admitting elderly people to the hospital.